A Lapp encampment. Norway 1896. Home » A Lapp encampment. Norway 1896. 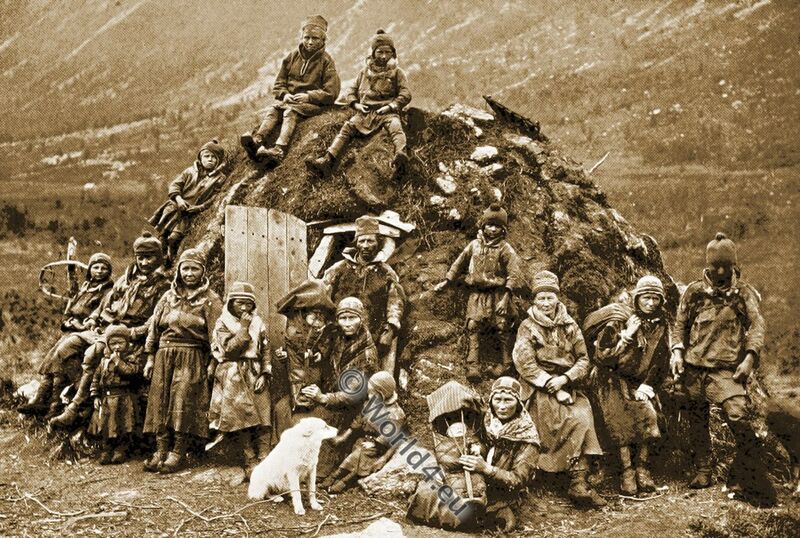 The Sami people (outdated Lapps, traditionally known in English as Lapps or Laplanders) are an indigenous Finno-Ugric people in the the Arctic area of Fennoscandinavia. Its settlement area extends from the Swedish town of Idre in the province of Dalarnas län to the south over the northern parts of Sweden, Norway, Finland and the north-east to the coasts of the White Sea and the Barents Sea in Russia. 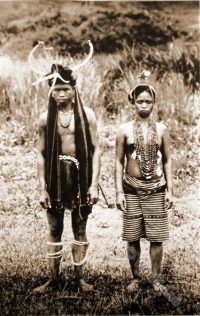 The traditional clothing of Sami consists of leather shoes with a raised top, colorful shoelaces, leather pants, the Kolt (Gákti) – a frock like Peplum -, a jewelry chest or neck scarf and a cap. Especially in the style of the colt and the cap one recognizes the belonging to a certain area. The oldest Koltfund is around 6,000 years old. Until the early modern age, all clothing was made of leather. Today the dress is worn almost exclusively at festivities and has disappeared from everyday life almost everywhere. Source: A Voyage to Viking-Land by Thomas Sedgwick Steele. Publisher: Estes and Lauriat, Boston 1896. 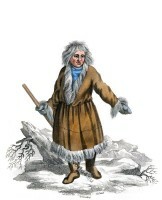 A Kamchadale in his Winter Dress. Peasant girls from Čajkov Slovakia. 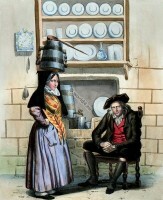 Couple in the costumes from the canton of Thurgau. Costumes Pyrenees. Rentals, Ossau Valley 1834. Princely Land. Woman from St. Gallen, Swiss. 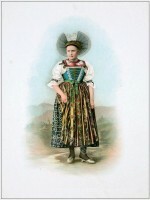 Peasant woman from Viničné Slovakia. Spanish bullfighting arena with Matador at Madrid. This entry was posted in 1896, 19th Century, Norway, Scandinavia, Traditional and tagged Norway folk costume, Traditional Lapland Folk Costume on 12/23/16 by world4.